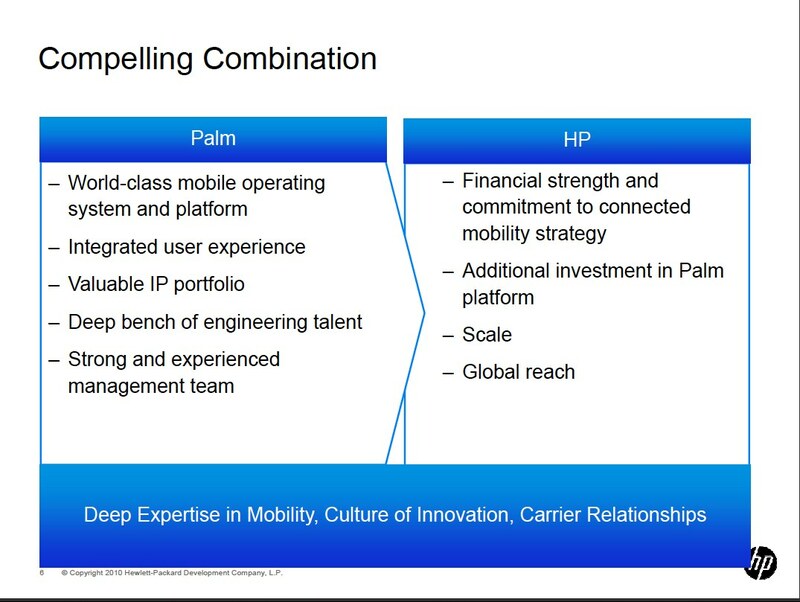 In a ZDnet blog post titled Did HP save Palm with acquisition? Or did it save itself? the pros and cons (mainly pros) of the HP-Palm merger are presented. This chart breaks down some of the reason s for the merger.